Palawan shoreline turns into more fun! When you get to bump, slip, slide, bounce and splash your way around to the timeless joy playing in the water park, you double the fun. Cool off and have some fun! A brand new floating water park is ready for you to try along with its grand opening set for March 11, 2018 in Puerto Princesa, Palawan, is expected to attract huge interest from tourists and residents. Turn your holidays into a splashing' good time and have awesome fun at the beach! For a day of an exciting getaway and fantastic water fun, there's no better place to be than at the Aqua Play Parks in Kamia Bay Resort. The enormous "floating playground" is managed by Kamia Bay Resort and developed by AquaPlayparks.com, a leading creator of the largest water parks especially designed for families, friends, beach-loving' travelers and for just about anyone who wants a quick and satisfying leisurely break mixed with an enjoyable water adventure. Bring your energy! 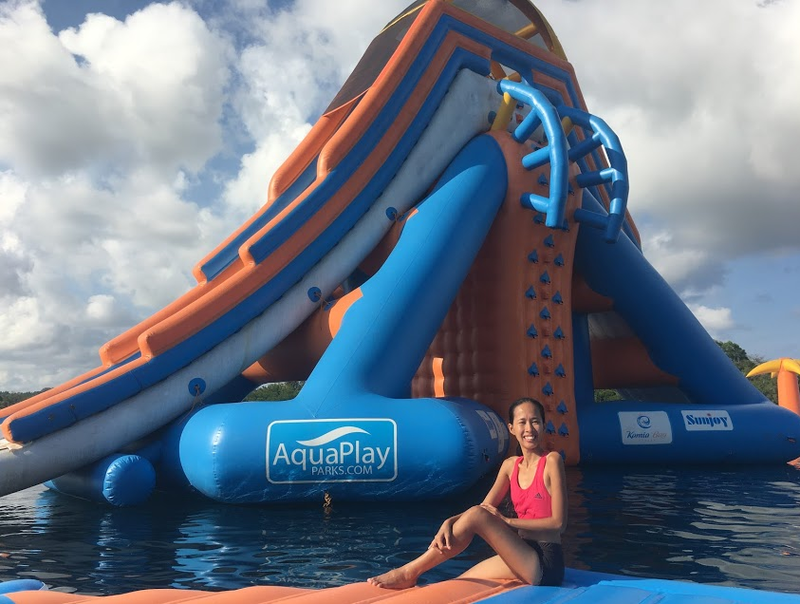 Aqua Play highlights include a thrilling giant 40-foot high Water Slide, Volleyball Trampoline, Human Launcher, Dolphin Slides, Donut Trampoline, Hamster Wheel, and Hotdog Swing for adults and kids to enjoy ! Created and designed by Peter Appleton, CEO and Owner, the new aqua-adventure water park can facilitate up to 150 people on the aqua park. AquaPlayparks.com is the largest manufacturer of inflatable water parks at the Pearl of the Orient Seas for a reason! Based in the Philippines, the aqua fun park is managed by a group comprised of Canadian designers and unique inflatable makers since 1988 and are genuinely one of just a couple of pioneers in the inflatable leisure and amusement industry.